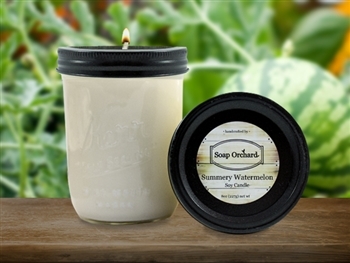 Juicy sweet watermelon on a hot summer day tempted us to make this hydrating collection. It is a super cool fruit with 93% hydrating water and loads of Vitamins. Watermelon is rich in antioxidants and helps fight free radicals. It can help tone and exfoliate your skin. The rind of the watermelon is our best find yet in our soap and body sugar, acting as an extra exfoliator for even softer skin. The benefit that beats all in this collection is it's super toning ability. 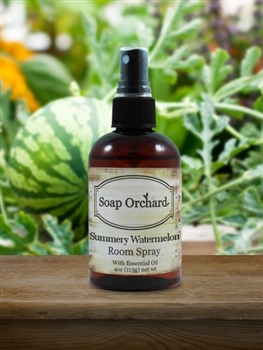 Watermelon on your skin will minimize your pores and keep dirt and grime out. Use this multi talented fruit and get a flawless, glowing and healthy complexion all summer long and all year for that matter! Watermelon is a source of Vitamin C, the nutrient that is essential for collagen synthesis. Collagen keeps your skin supple and strengthens your hair. The Vitamin A in Watermelon is another important nutrient that contributes to skin health to help fight dull and flaky skin.